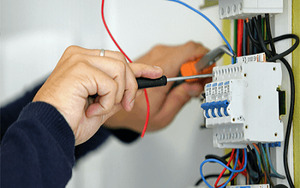 We are experienced electricians and prioritize on safety! Please get in contact for a completely free quote! We are able to offer services to meet all needs! Find out more about us on our Check A Trade page! Look out for our tweats on our offical twitter account! Join our Facebook page to see our latest offerings! 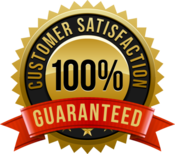 Customer satisfaction is a priorty to us. We go above and beyond to make sure our customers are happy. We ensure to keep customers informed of our plans before we begin. We offer customers a choice of materials and are more than happy to provide recommendations and an after care service upon work completion. Very happy with the work done. Competitive prices and work done to a very high standard. My husband and I hired Anthony and Nick to rewire our home. Not only were their prices competitive but they were polite and tidied up after themselves. Recommemended to family and friends. Have used Anthony and Nick a number of times and will be using you again. Friendly, helpful and kept us informed of their plans. Anthony and Nick went through everything before they began work and finished on time and even worked Sunday's to meet our deadline. Would recommend. We provide technical advice and recommendations that assure you that all electrical work carried out meets legal requirements and is above all, safe. All our work complies with Part P building regulations. © 2018 Prospect Electrical. All Rights Reserved.